Let’s face it, we’re going through a recession and things aren’t what they used to be. No longer are we able to take a long summer break in some luxurious resort abroad, then hit the slopes for the ski season and fit in a few mini-breaks in the months between. The Celtic Tiger had us spoilt and as he slammed the door behind him the deafening silence that ensued left everyone in a state of shock. Then panic took hold and the shrieking, roaring and finger pointing began. A few years on, things have settled down somewhat, we’re adapting, finding our values again, re-balancing our over inflated market and learning to do as those before us did, discovering the value of money. We’re returning to the days of saving for something we really want, shopping around for deals and special offers, planning in advance so we get the best price for things. Despite the recession, with special planning and clever internet trawling techniques, it is possible to escape the drizzle and clouds and head to the sunshine on distant shores at an affordable price. You just need to know some special tips! Today, Wednesday 8 August, 2012 on Ireland AM I gave some tips as to how you can save money when you’re booking your holidays and whilst on holidays. See all information from the slot below. Book in advance – if you know when you will be taking your holidays you can save a lot of money by booking your flight or boat in advance. Accommodation is also the same, when you book in advance you will get a better location and often more value for money. Boat – taking the boat can save considerable money, especially if you’re travelling with children. See below for full details. Low-cost Websites – Living and Social, Secret Escapes, Lastminute.com and a number of other websites offer hugely discounted holidays and weekends abroad. Group Bookings and Self-Catering – Travelling in groups means you will often get a discount if you are booking through an agency and if you opt for self-catering – hiring a villa, apartment or cottage, will bring costs down dramatically. Hiring somewhere also means you can eat and drink in, treating yourself to a dinner or lunch when you want to, but otherwise catering for yourself during your holiday. This can save hundreds of euros for two people alone, let alone a family! Volunteering – working on organic farms means you only need to pay for your flights to get there and you work in exchange for your food and accommodation. House Swapping – I’ve covered this before, but it’s well worth looking into and anyone I’ve talked to who has done it, raves about it. Imagine, you could be in a villa in Hawaii for three weeks with no costs except your flights. Taking the boat was something people did before the arrival of low cost airlines, however there is a rise in the number of those choosing to take the boat. Stena are doing a massive campaign for Car-cation, highlighting all the ways you can save money by taking the boat aswell as showing how luxurious boats are in comparison to the old days with boats travelling from Ireland to the UK or France being more like mini cruise ships. 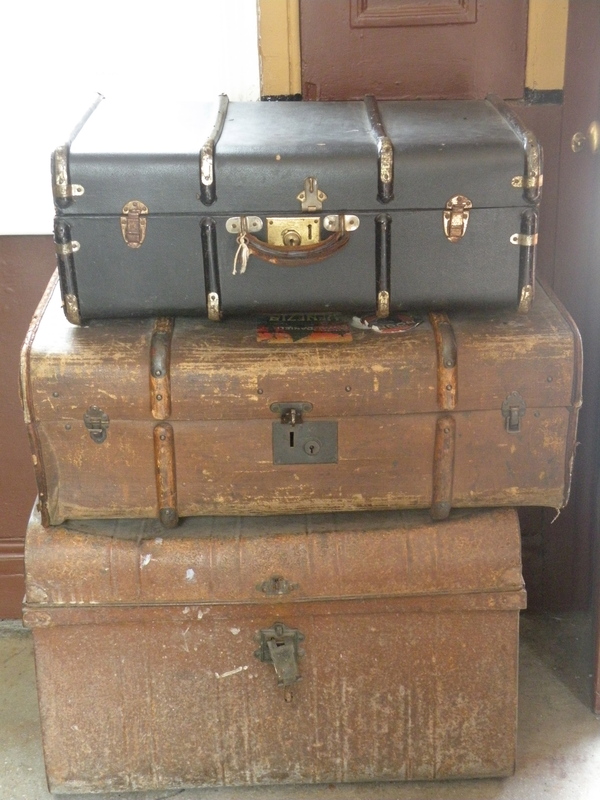 If you book your boat in advance or avail of one of the many sales, a family of four could travel from Ireland to the UK with as much luggage as you need for only €300. Children under 3 years travel for free as do dogs and cats! The boats are well equipped with children’s play areas, cinemas, a children’s entertainer, excellent value restaurants with family meals for only €25. Not only can you pack the car with whatever you need, including golf clubs, children’s toys, surf boards, avoiding the extra baggage costs when traveling by plane, but you also save on hire car costs, travel to and from the airport. Taking the car on holidays gives you the freedom to travel where you please, letting you to explore areas you may otherwise have felt were too out of the way. 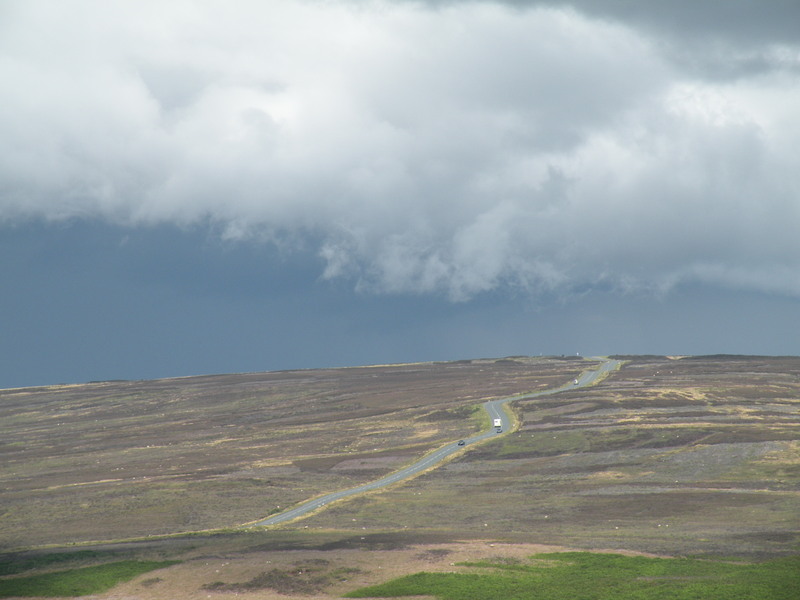 Yorkshire folk are so proud of their county its been given the grand title of ‘Gods own Country’. In fact, they whimsically believe it is a Republic in itself – The People’s Republic of Yorkshire! Taking the boat into Liverpool you can be in Yorkshire within 2 hours. Having disembarked the boat in Liverpool, it’s only a two-hour drive to the beautiful City of York. It’s a fantastic spot to spend a night or two walking the ancient city walls, wandering the maze of cobbled streets, browsing the many boutiques, visiting haunted pubs or discovering the history of the City of York in one of the many impressive buildings, such as York Minster, Treasurer’s Hall, Castle Museum. Stay close to the city centre, as York is a small city and best to explore on foot with traffic and parking proving torturous. Stay in the atmospheric Grange Hotel, a beautiful period building on the edge of the city with oodles of old world charm. This year, York is celebrating 800 years it became the City of York. The ancient city wall spans the small medieval city, protecting its many fine buildings, cobbled streets and legends. 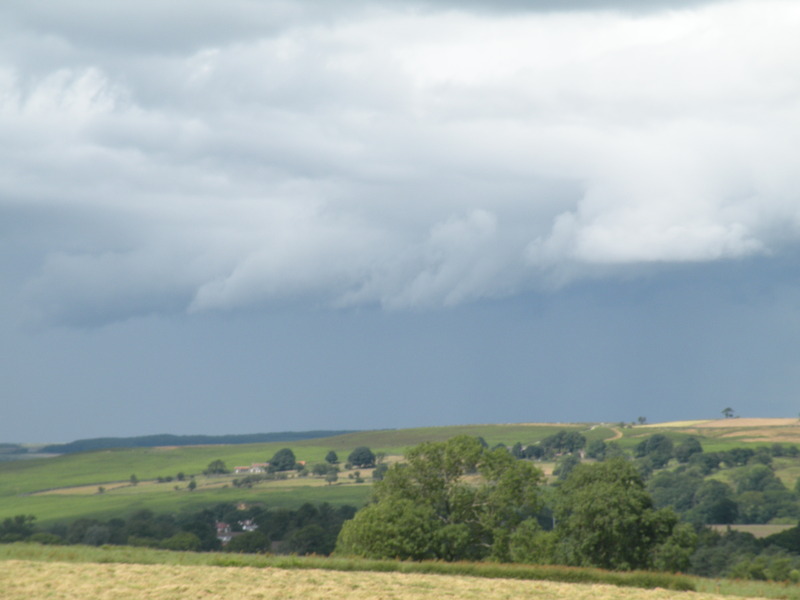 Leaving York, head north into the Yorkshire Moors, a sprawling, barren landscape with sweeping views across Yorkshire’s rolling, verdant hills. 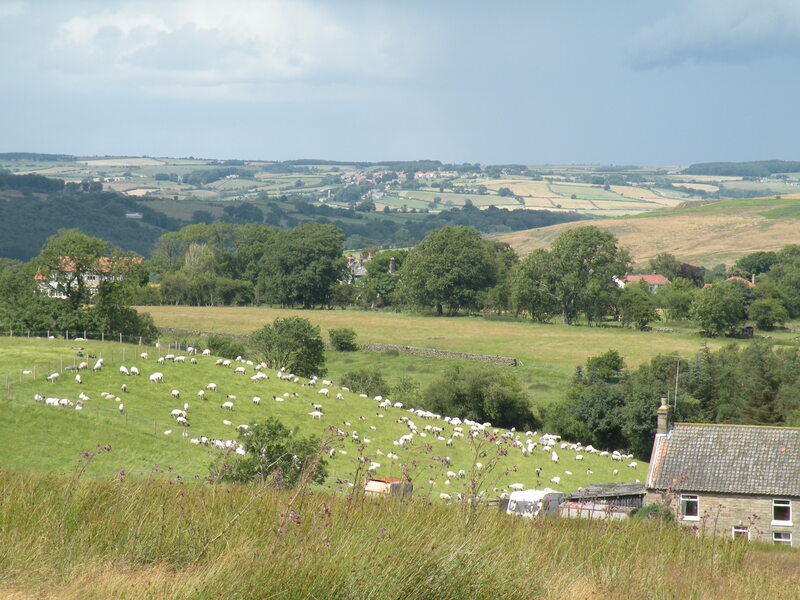 Hidden within the moors are some beautiful villages, including Goathland where Heartbeat was filmed and where you will find a quaint train station famed for featuring in Harry Potter. Within an hour and half from York, you will arrive at the stunning eastern coastline, fringed with long stretches of white sand, seagulls and bustling coastal villages. Whitby was built into the cliffs, a famous haunt for smugglers, resulting in the town being a maze of narrow, cobbled alleyways, small narrow houses built into the Cliffside, the snickleways providing the perfect escape for mischievous smugglers. 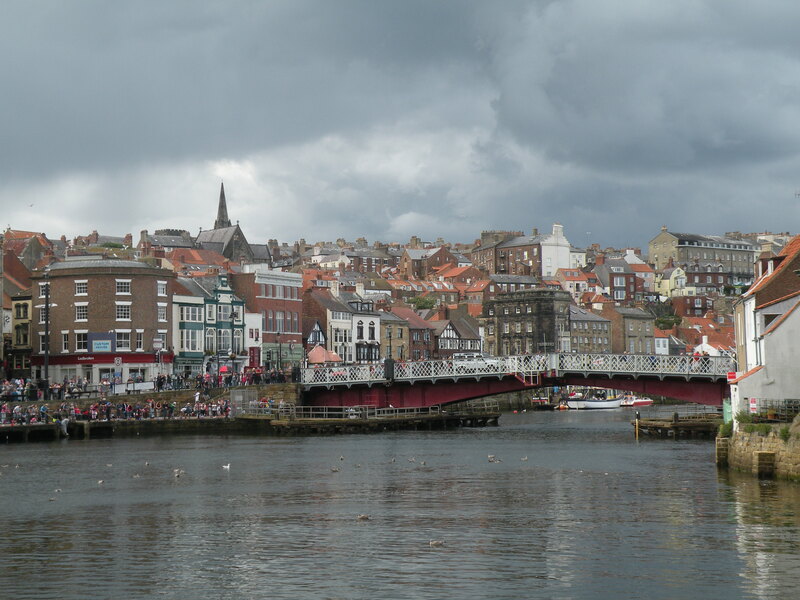 The streets of Whitby are thronged with visitors during the summer, its reputation as a popular seaside resort dating back to Victorian times. Robin Hoods Bay is one of Yorkshire’s hidden gems. 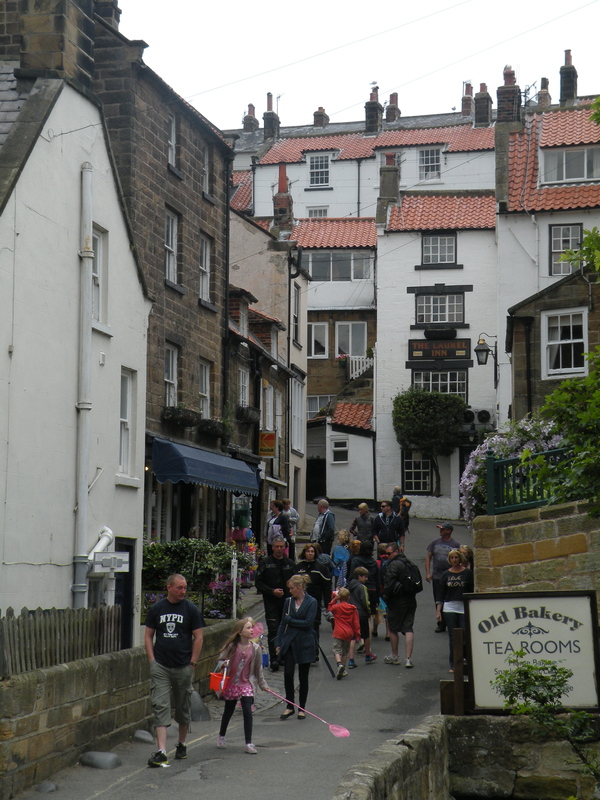 Only a few miles from Whitby, it is a small idyllic village with houses built atop one another, linked by small laneways. This is the English version of Positano, romantic and quaint with a handful of craft shops, cafes and restaurants. The beach is packed with families, children fishing off the rocks, riding donkeys along the sand and braving the cool waters of the North Sea. Special Offers Stenaline – 50% off children’s fare if you book before 15th August for travel from Dublin, Dun Laoighre or Rosslare. Searching for holidays online is often where you will find the best deals, especially if you’re flexible on your travel. There are a whole host of websites offering excellent last minute offers, such as Lastminute.com where you will find weekend breaks and family holidays at low prices. Some websites feature four and five star properties with rates reduced up to 70%. LivingSocial Escapes and Secret Escapes offer such a service, tailoring packages to luxurious properties at affordable rates. They work with boutique hotels and often include flights and added extras such as wine on arrival, discounts off food and beverage in the hotel making it about the experience for the traveller. Websites like this encourage you to try places you may otherwise not have thought to travel to and make it affordable to stay in hotels that if booked directly would not be in your budget. 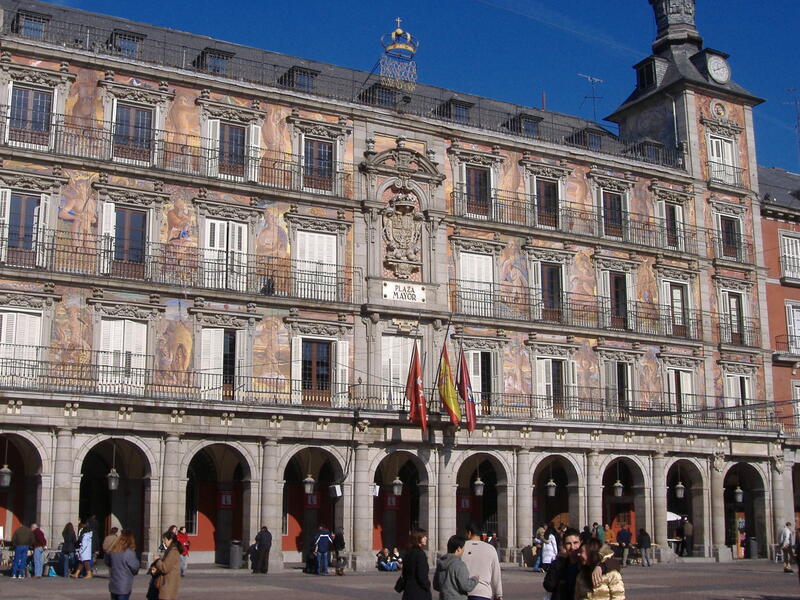 Madrid is a buzzing city, known for sublime tapas, lively cafes and bars, quaint squares and an all night party scene. The city is great to explore during the day, with open parks, museums and some great shopping. A good place to stay is around Puerta del Sol, centrally located with plenty of affordable hotels to choose from and from where you can explore much of the city by foot. Leading from here, there are a number of streets lined with good shops, bars and cafes, including Calle Preciados, known for its shopping with an El Corte del Ingles and a host of other shops. Also, a short walk away is one of Madrid’s most famous squares – Plaza Mayor, where you may pay exorbitant prices for a drink, but it’s worth it simply to watch the world go by surrounded by classic buildings. Escape from it all and visit Retiro Park, an oasis in the bustling city, with a lake, rose gardens and quiet corners to lay in the sun and relax. Browse the Rastro Flea Market, Madrid’s largest open air flea market, open Sundays from 9am – 3pm. Eat Churros, gourge on tapas and wash it all down with delicious cava. Madrid Cathedral and Plaza de la Villa are both beautiful structures and two of the most famous buildings in the city and if you’re looking for more culture check out one of the many museums. Seven-night holiday in five-star luxury hotel in Grand Canaria, from £599 per person, including return flights from a choice of UK regional departure airport, half board accommodation in a deluxe room, two Spa circuits per person, per stay and transfers. Perched on the rocky hillside in Salobre, southern Gran Canaria, the five-star Sheraton Salobre is in a serenely peaceful spot, overlooking the Gran Canaria Mountain and miles of ruggedly beautiful island landscape. The 36-hole Salobre Golf Course is next door and there’s a shuttle bus to take you to the hotel’s private beach club. Available for departures from Oct 04, 2012 to Oct 21, 2013 and must be booked by Friday 10 August 2012. To book, visit www.secretescapes.com or call 0845 078 2029. A new trend emerging over the past few years has been voluntourism, where people give up their holidays to work in charities abroad. From teaching english in Africa, to working in orphanges in Cambodia, companies have been set up to match skill sets with charity needs. However, it is important to choose wisely, as there is an increasing concern for how effective some of these programmes really are. There are some excellent options however, a popular one being a volunteer programme for those willing to work on organic farms. Organic farmers often live on subsistence farming and can’t afford paid labour and so this programme enables them to survive, by bringing in workers to help out throughout the year. This is a worldwide organisation with over 6000 hosts in 88 countries. The organisation links people up with organic farms located around the world. In return for a few hours of work each day, you get free accommodation and food and not only this, but it provides an experience for the traveller. On such a programme you meet the people and experience life in the area you are visiting. This often provides a more fulfilling experience than just going to the beach and lying in the sun for two weeks. It is also a much cheaper option, as you simply pay for your flights and generally your pickup, food and room are provided free. You can also learn a new skill – growing vegetables, beekeeping, building, cooking and lots more! However, the downside is, you will have to be prepared to get your hands dirty and join in with the work on the farm. You have to join your local Woofing agency and pay a small fee of €20, which will give you access to the database of farms around the world. It is good to travel with someone and to establish a relationship with the host prior to going over. Choose carefully, confirming your chores before going over. The options are endless and you can choose any country, however if you only have a couple of weeks, there are plenty of great places to go in Europe. Beekeeping in Italy, vegetable growing in the Arctic, house building in Africa. You can choose to go for any length of time, from a week to a year. Rope makers ordinarily fancy confusing us with science and/or extraordinary polysyllabic names. Recovered try to cut through the guff a bit. single thing like that before. So great to find somebody with unique thoughts on this topic.